We thought we might profile the singular Brazilian Guga Kuerten. After all, the Olympics are coming to his country and he was just named an ambassador for the International Tennis Hall of Fame. But we weren’t sure. 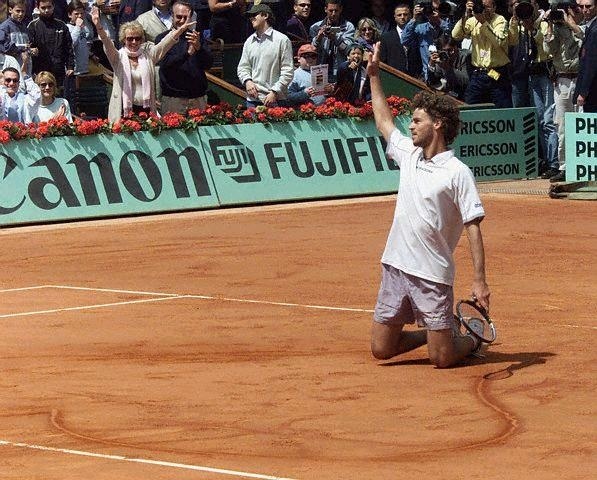 Then, just after Novak Djokovic won the French Open, he took his Head racket and drew a heart in the Roland Garros dirt to recreate perhaps the most inventive celebration in tennis history, which had been created by Kuerten. Now, there was no question. So here’s Guga’s heartfelt story. Many have played this game with passion and love, but none more so than this giving, wise South American. Powered by a sublime, one-handed backhand, Kuerten became No. 1, was a Davis Cup hero, and earned over $14 million. But it wasn’t an easy journey. His beloved father had a heart attack on-court as he umpired a junior match, and died. Guga was eight. His brother Guilherme suffered oxygen deprivation at birth and endured serious mental retardation. Guga promptly took up his cause and gave him all the trophies he won, but Guilherme died way too young. It was hard enough for someone to emerge out of Brazil to become a Hall of Fame player. But Kuerten wasn’t even from Rio or Sao Paulo. He emerged out of the southern provincial city of Florianopolis. When the city eventually hosted the Davis Cup, Reuters noted that the makeshift stadium there “was surrounded by a sea of mud, puddles of filthy brown water and piles of stone…The smell of rotting fruit pervaded the air.” How sad. But Kuerten’s career was sweet. He won 20 tournaments and is the only player to have ever beaten Pete Sampras and Andre Agassi in the same major tournament. He and Guillermo Vilas are the only South American men to ever win three majors. 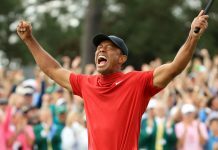 Still, he is most remembered for his 2001 French Open win over the modest American journeyman Michael Russell in one of tennis’ most storied fourth round matches. Considered that year to be the favorite to win his third Roland Garros title, Guga came out and stunk up the gym for two hours. Finally, he found his game and managed to pull out a thrilling win. On occasions like this, players often fall to their knees, or kiss the court or (at Wimbledon) nibble a blade or two of grass. On that Parisian day, the ecstatic Brazilian drew a big heart in the clay and collapsed, flat out on his back and into the heart. There have been many memorable moments of celebration in sports. 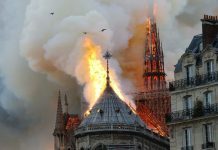 Commentaries like “The Giants win the pennant, the Giants win the pennant!” “Do you believe in miracles?” and “I cannot believe what I just saw” all come to mind.